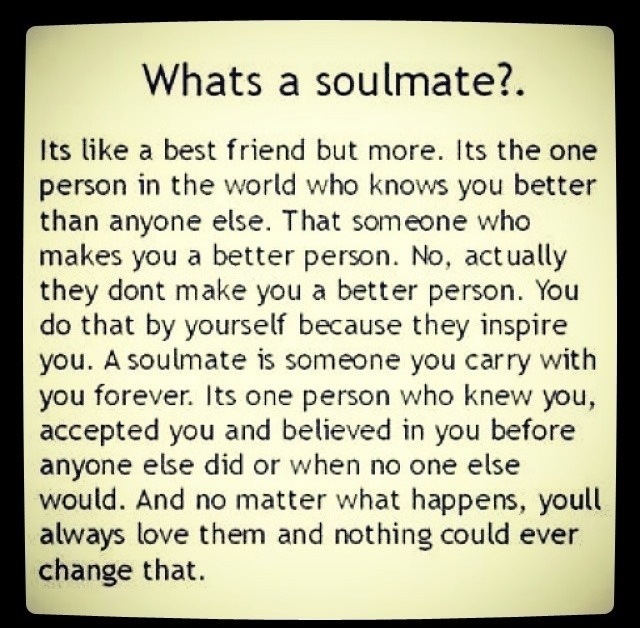 Home » life and love » Who is your soul mate? 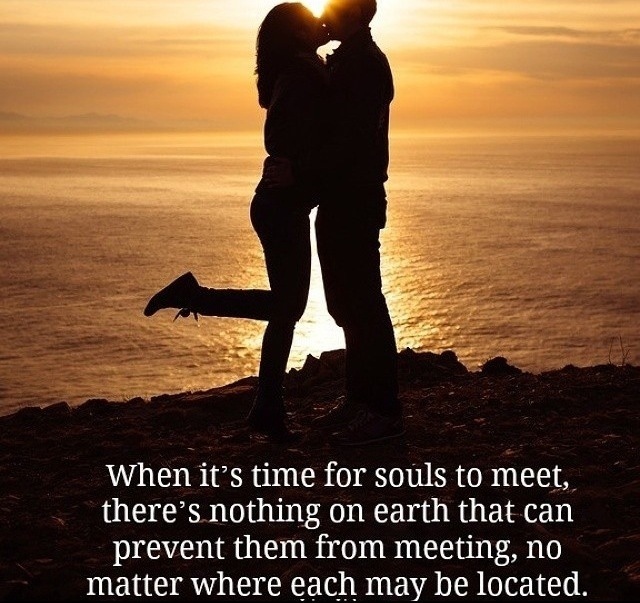 I put together this write up in 2010 with a lot of research I was able to find out more about the different kinds of soul mates that come into our lives 🙂 Did you know that you have more than one soul mate ? That everyone who comes into your life is there for a reason! It amazing for me to see what brings people together ❤ I hope this article can guide your relationship ~ sending light and love to everyone !!! There have been many incidents that have been brought about to me, and it got me wondering about soul mates finding that life partner that has been your partner though many lifetimes. They say there is no such thing as coincidences, no mistakes. That everyone you meet in this life has been brought to you for a reason. It’s amazing how life seems to unfold before your own eyes and you can choose to see it or ignore it. I’ve been ignoring this information for quite sometime but it never fails to cross my path again and again and again. . . could all this information that I have been researching and putting together, be TURE? 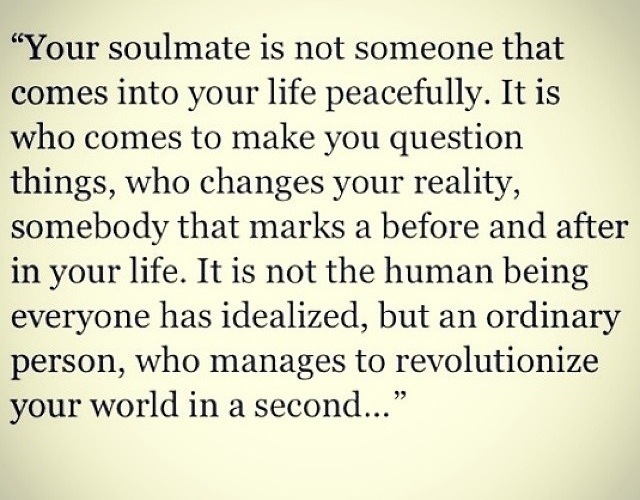 The topic of soul mates has always came across to me as a fantasy as the happy ending in a fairy tale, giving humans hope of finding that one true love. 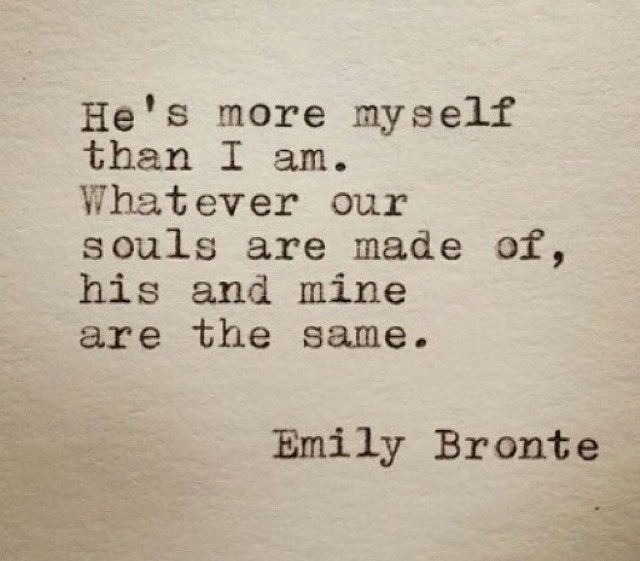 We were all created to be with someone, and there are different kinds of soul mates but there is ONE, only one that holds the most powerful gift that god has given us who will complete you. all of you. 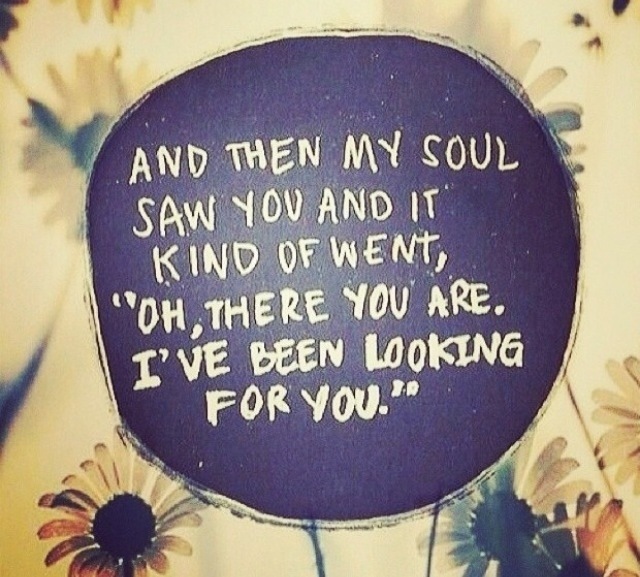 I can’t say for sure that I have met this person, but I know that if I have, our paths will cross again with either of us knowing it 😉 something is showing this to me for a reason and I am determined to find out what it is…. Enjoy this! And let this serve as a guide to everyone who believes and is in search for your twin flame. Twin flames are ourselves in another body. When we have reached the stage where we are capable of giving unconditional love, we then have the opportunity to reconnect with our “other half” or twin flame. The chances are that we meet our twin flame briefly in many lifetimes, but one or both of us are not ready for the intensity of this connection. When both halves of the whole are ready to come back together and meet they will discover that in their lifetime they have lead almost parallel lives. The events of their lives will mirror each other almost exactly. They may have come from very similar families and family dynamics. They may have had similar schooling or lack thereof. They may have crossed paths socially or lived close by to each other and never known it. They may have almost identical careers. They may even have previous marriages and divorces within weeks of each other. When twin flames get to know each other, they will feel as if the other is reading their life script. That isn’t to say they are identical people, but they are perfectly complimentary to each other. be that little voice in your head that knows the difference. When twin flames come together they become one, they are not like each other but they are the mirror image of the other. They think alike, they hold the same values and often their life experiences are very similar. Twin flames do not teach each other, they learn together and help each other learn the lessons that have been set before them in this lifetime. When twin flames come together they join forces and are capable of overcoming obstacles the average mortal could not begin to face. They are so filled with unconditional love they literally glow with it and have much to share with others. and literature are often tragic love relationships. The forces of anti-love work day and night to sabotage twin flames and keep them apart. The other two levels of relationship is that of soul mates and karmic relationships. marriages to be between soul mates they work very harmoniously together in business, raising children, and contributing to the community. personal evolution. How can you tell if you are in a karmic relationship? earth and the other didn’t. -Rising signs (might be) the same with the rulers in the same element. …. other; moons are in the same element, or moons are in the same sign…..
-Your life numbers add up to each other. …. -The numbers 6, 9, 15, 18,24, 27 seem to be involved with twin souls birthdays. 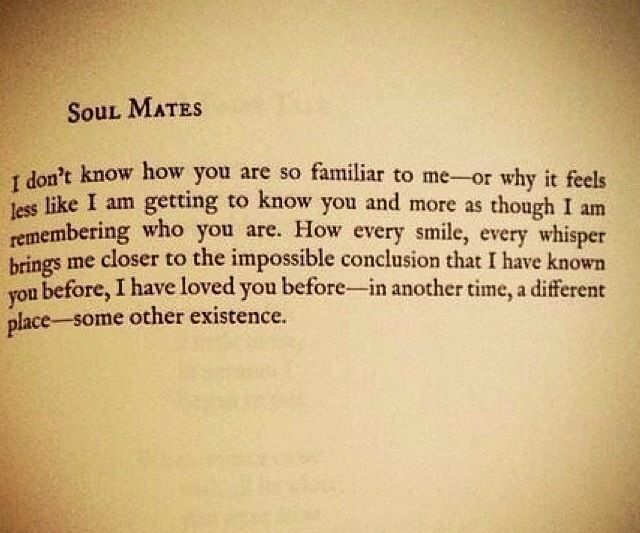 Or Twin Souls Will meet on one of those days…..
-Automatic chemistry between you and the other person . -You click from the first time you meet . -you read each other or have telepathic connections…. spiritual immaturity of one or both partners, and most often, obligation to an already committed relationship/marriage. …. -Chances are you’ve met through a set of unusual circumstances… totally unplanned and unexpected…..
-There was an immediate and deep connection…..
-There is an electrifying feeling between the two of you. …. -You feel a deep sense of unity that you’ve have never known before with anyone else and communication is almost telepathic. -It brings on feelings you never thought possible. -When you look into each other’s eyes time has no meaning …. -There are no barriers between the two of you… the relationship is a totally open one and you can discuss anything. -You give to the other and never think of receiving in return. -Your feelings for each other are very spiritual. 4. I know what you are thinking! 7. You can say anything to each other Similar to soul mates, another of the twin flame signs is that you will find you can talk together for hours and hours, but particularly with twin flames there are no communication barriers between you and the relationship feels totally upfront and open. You feel as if the level of friendship and intimacy is unlike anything you have ever experienced. 8. Sexuality – ooh that’s hot! Finally more than ever before in your life, you feel a sense of completeness that goes beyond what you ever thought possible. You grow closer and closer, becoming more and more like a whole, yet still keep your individual identities. This twin flame stage can only really happen if you are a complete person within yourself so don’t neglect your personal and spiritual development if you want to meet and be happy with your twin flame. another interest or goal sometimes equally (or almost) as passionate that has led you to that person! I found this intense. I visited a lady who is visited by spirits. She told me a lot about my past life and her statement of “you are happy in your long marriage to your soul mate.” She is correct. I liked your bit about soul mates as we are best friends, but he is Virgo and I Pisces. Thank you for your comment, we are married 31 years this year so too late to trade either of us in now. Pisces are creative individuals that are screwed to live life analyzing things deeper than most people can comprehend, but we are quite talented artists, yes, I am one too, haha. your words and depth moved me and that was so profound and enlightening and it left a strong impact on my mind and eyes and what a vision and so much feeling displayed. very deep and strong. oh my gosh this is amazing. My husband might be my twin flame because it is the same feeling i felt on what you described here. I really felt home with him. We both felt that way. This article is interesting.